The European Parliament voted yesterday (October 22, 2014) to accept President-elect Jean-Claude Juncker’s “last-chance” leadership for the European Commission (EC). But the 11th-hour reshuffling of posts appears to leave Galileo without a clear-cut leader, at least at the political level — even as the Commission and its European Space Agency (ESA) partner have decided to give up the prospect of a December launch of two satellites. The Commission operates as a cabinet government, with 28 commissioners, one per EU country. The actual hands-on work of the Commission takes place within the directorates-general (DGs). 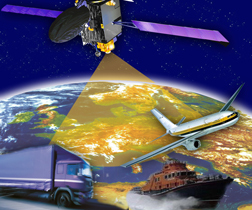 For example, the EU space programs, including Galileo, for the past several years, have been administered under the DG for Enterprise and Industry. The EC president has no say as to who the commissioners are; that’s up to the individual countries. He can only decide what each of the commissioners should be in charge of. Once he’s worked out whom he wants where, relevant parliamentary committees grill each of the candidates. Then, the European Parliament, as a whole, votes on whether to accept the EC appointees, as a whole — or not. 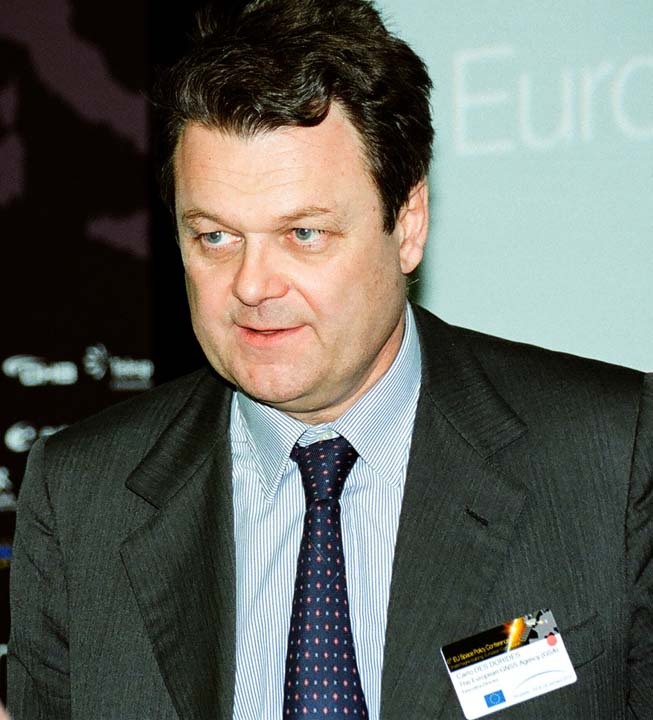 Juncker had positioned a dynamic up-and-comer to lead the Transport Directorate-General (quaintly known as DG MOVE) — the young, smart, cultured speaker of many languages (including Russian), Maroš Šefčovič of Slovakia, already a commissioner and the vice-president under the Barroso Presidency, where he was responsible for Inter-Institutional Relations and Administration. Under Juncker’s original proposition, DG Enterprise and Industry would have been relieved of its EU space program duties, which would then be handed over to DG MOVE under Šefčovič. Šefčovič was to be the Commissioner for Transport and Space — a bit of a landmark moment, as it would have been the first time the word “space” appeared in an EU commissioner’s title. Slovakia, incidentally, is the country most involved in EGNOS-based road tolling infrastructure, and is involved in many activities with the European GNSS Agency (GSA), based in the neighboring Czech Republic. And that’s when it all went wrong. It started with Slovenia’s Commissioner-Delegate Alenka Bratušek who, as the story goes, as outgoing Prime Minister of her country orchestrated her own nomination to the European Commission. Juncker had her taking over the Energy DG, but after a woeful performance at her hearing before the relevant Parliamentary committee earlier this month, she was judged unfit for the job. Slovenia had quickly to put forward a new candidate, in the guise of Violeta Bulc, a 50-year-old telecoms entrepreneur who joined the new government in Ljubljana only last month. Bulc’s nomination by Slovenia immediately raised hackles, with some commentators accusing Slovenia of making a out-and-out mockery of the Commission. With Bulc even less prepared than Bratušek to take up crucial responsibilities in the Energy DG, Juncker had to find something for her to do and quickly, as time was running out on getting the new Commission through Parliament. Juncker needed a candidate of substance for the energy job. The deck had to be reshuffled; so, he took Šefčovič off of Transport and Space and put him on Energy. For Šefčovič, the move is a victory of sorts. Already having been an EC vice-president, his assigned transport portfolio — even with space — was seen by many as a disappointment. Under the new scheme, Šefčovič would be Commission Vice-President for Energy Union. Bulc could now be lowered into the transport position, but without the added responsibility for space. In his mission letter to Bulc, Juncker makes no mention of space, an element of the portfolio he had initially assigned to Šefčovič. As it turns out, Juncker’s new mission letter to Šefčovič does contain one mention of space. The wording seems to limit Sefcovic’s authority to energy-related space activities. Of course, one could argue that all space activities are energy-related, but that seems like a stretch. No one we have spoken to interprets this line as meaning Sefcovic is to be in charge of space policy. Everyone seems to understand, at least, that he is not to be the Commissioner for Space. If you feel like you’re losing the plot, don’t panic. This is all par for the course when it comes to putting an EU Commission in place. Juncker’s team, now sitting pretty, was voted in by the EU Parliament. With space not moving, after all, to DG MOVE, it will logically stay put in DG Enterprise and Industry, under the control of Juncker’s new Commissioner for Internal Market, Industry, Entrepreneurship, and SMEs, Elżbieta Bieńkowska, previously Poland’s deputy prime minister and minister for infrastructure and development. However, when Juncker chose her for the post, he had envisioned her taking over a space-less DG Enterprise and Industry. In his mission letter to Bieńkowska, Juncker makes no mention of space, again an element he had intended for Šefčovič. And, of course, Bieńkowska made no mention of space in her own statement during her parliamentary hearing, and she was never quizzed on the subject. All of this leads to the curious situation in which the Parliament has approved a Commission with no commissioner clearly responsible for Europe’s space programs. Or finally . . .
None of this seems to have fazed those actually working within the EC’s space-related units, settling back down into their chairs at DG Enterprise. They were all set to move, bodily, to a new home at DG MOVE, but then most hardened EC personnel have lived through similar starts and stops. Below the political level, the actual work of the Commission takes place within the Directorates-General under, not surprisingly, the directors-general, and their vast staffs. The current Director-General of DG Enterprise is the very competent Daniel Calleja Crespo, and most are happy in assuming he will remain in place. Of course, all of this stands against a backdrop of recent failure. Furthermore, the future of Galileo will depend very much on the interaction between the new Commissioner and the future ESA Director General, possibly Jan Wörner. After 17 years of Galileo, with all its highs and lows, many would like to see both the EC and ESA stepping into a new gear, perhaps significantly reorganizing the whole program.